The Sicilian Defense is the most frequently used defense from club players to Grandmasters. 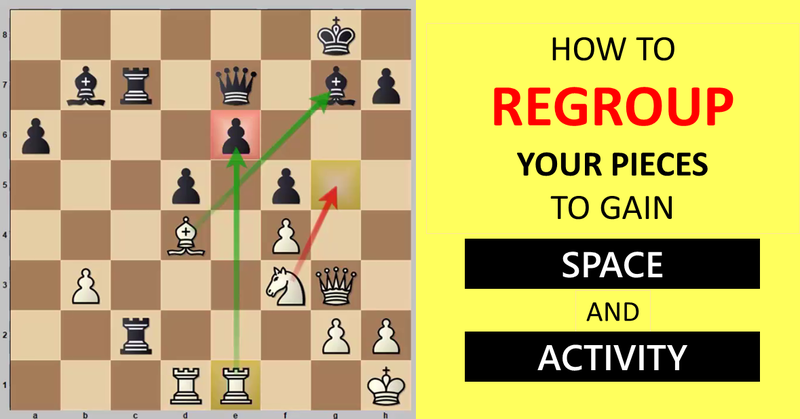 Today we’re going to see the 5 best chess traps from this opening. The main reason for the popularity of this chess opening is its combative nature – Black fights not for equality, but for advantage. The Sicilian Defense begins with the moves: 1.e4 c5. Before we see the traps, let me introduce to you our new chess course ““Master Sicilian Pawn Structures” by IM Mateusz Kolosowski. 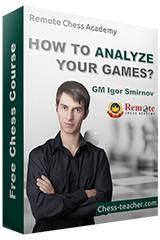 In this course, you’ll learn the general guidelines for the pawn structures resulting from the Sicilian. 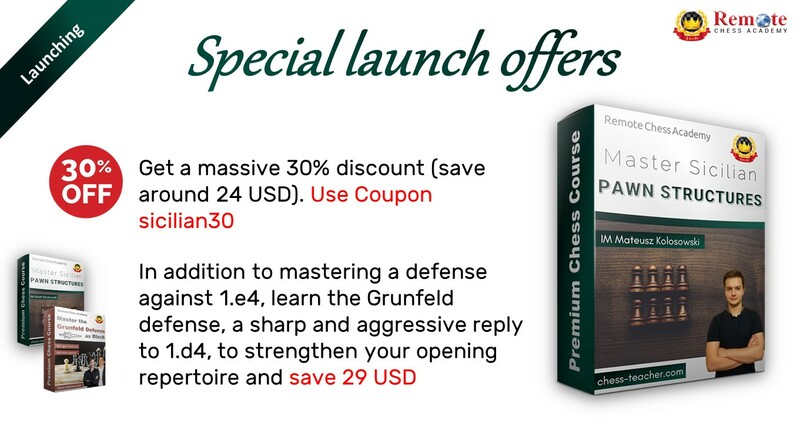 The course is suitable for all levels of players and it breaks down the necessary principles of the Sicilian Defense. By the end of the course, you will have a clear idea of all the Sicilian main lines for both White and Black. You can find more details about the course in our blog-post here. Now you can watch the video lesson below, where I’ve discussed about 5 best chess opening traps in the Sicilian Defense.